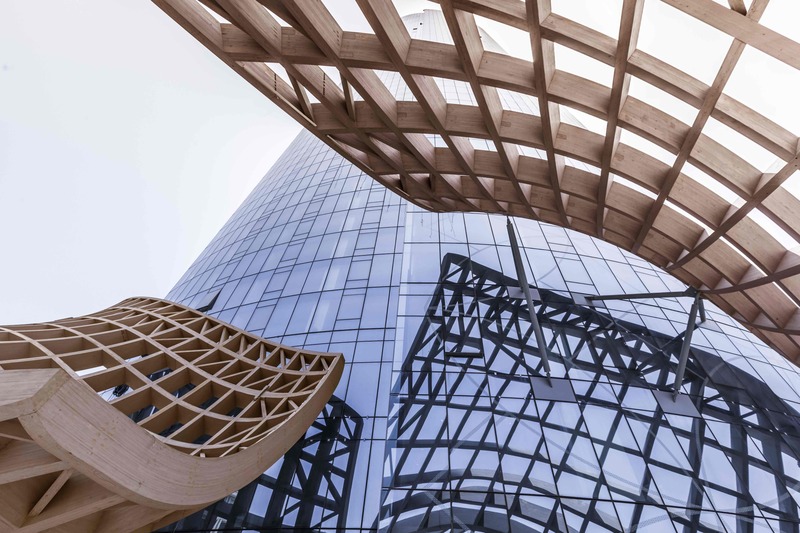 This striking timber shade and cooling structure embellishes Dubai’s D1 Tower, providing passive climate control and a link to the site’s history. 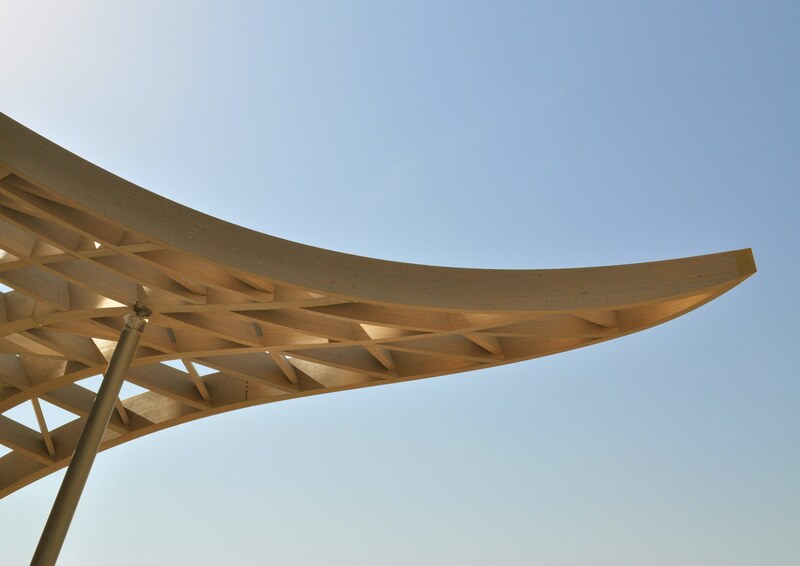 The Timber Canopy shade and cooling structure at the base of the D1 Tower in Dubai was influenced by traditional wind tower technology and passive climate control. The expansive timber sculpture moderates between three contextual scales. The tower itself is an urban landmark and at 80 storeys high is visible from miles around. The scale of the smooth glass skyscraper needed a device at the ground to knit the building into the site and surrounding landscape as well as to create a human scale at the building's edge. Adjacent to a grand bridge over the main waterway of the City the site marks the arrival and departure from the new Cultural precinct. 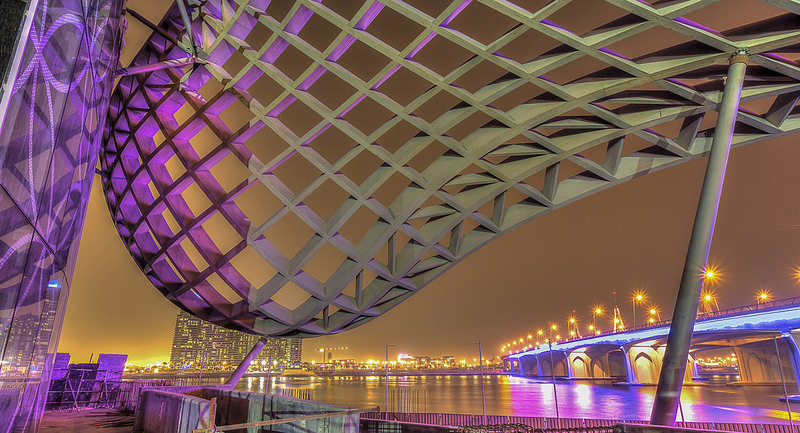 Situated on the edge of the Dubai Creek, D1 occupies the place where the traditional Dhow boats were built. The timber Canopy pays homage to this crafting and curving of wood and is a reminder of the site's place in the City's history. Remnant fishing baskets and nets found in the landscape inspired the original conceptual studies for the final flowing forms. 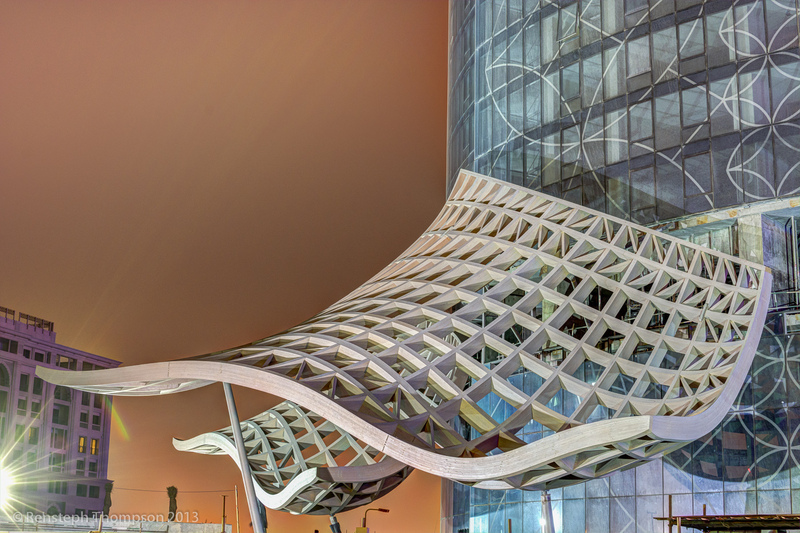 Innovarchi has produced this innovative and functional structure despite the challenges presented by the GFC and Gulf region crises, including numerous changes of client and building contractors. Using an innovative double glu-laminated prefab structure, a small company – innovarchi – has created a unique and highly functional timber sculptural element to compliment a major tower development. 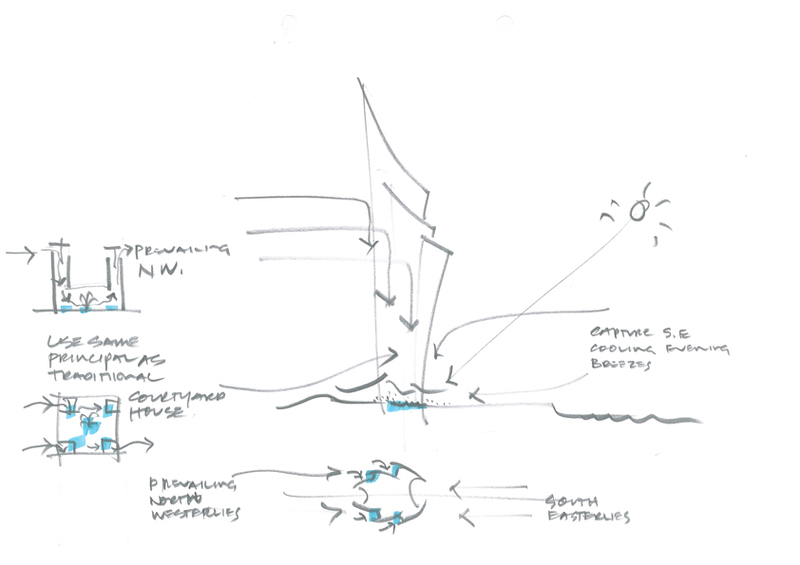 Harnessing the downdraft from the 80 storey tower, the net like forms break up the velocity of the wind and draws it across the water features and pools around the ground plane. The Wallon Forestry Centre is noteworthy for its odd curved roof and glass tile cladding. The client’s awareness that timber can become more beautiful with time and proper maintenance enabled this deceptively simple Colombian country home to be built.